Anna & I are still in shock that we are now raising a teenager. 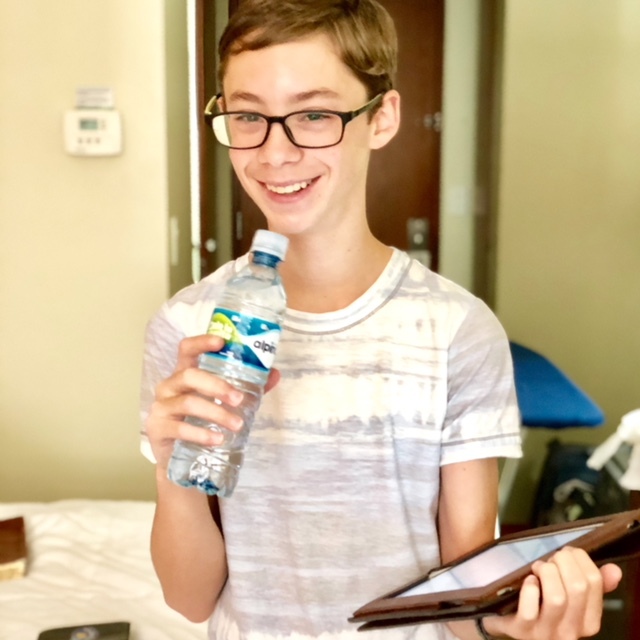 Our oldest son, Judah, is now 13!! Unbelievable. Before this landmark birthday, I was inspired to make this birthday more than cake, ice-cream, and gifts. Some cultures do this “rite of passage” thing so beautifully. Jewish culture has Bar and Bat Mitzvahs. They are beautiful coming of age rituals for young boys girls turning thirteen. In Hispanic families, they have a memorable family party and ceremony for their daughters turning 15 called a Quinceanera. One deals with anatomy the other deals with maturity. As a father, part of my job is to lovingly evict the boy in my son's life. I knew I wanted to do something but I still wasn't sure where to begin. I have some awesome friends who helped show me the way. They vulnerably shared with me things they did with their sons at this major juncture in life. But like most of us, it was a struggle to translate my inspiration into implementation. · Preach his first sermon. Practicing in our room with a water bottle for a mic and dad as his crowd and coach. · Go on your his missions trip out of the country. · Run a 5k and do a mini-Murph workout on the same day at a stretching time he set for himself. · Do a homeless outreach in our city (Baltimore). · Do a stretching 13+ mile hike up a mountain. · Save money and take Anna out on a date and learn more about how women think. · Pick up new chores around the house. · Read Before You Go by Jack Hempfling, a 40-day devotional preparing him for his missions trip. · Read “Dream Giver” by Bruce Wilkinson to begin some conversations and dreaming about his purpose and destiny. · Read the entire New Testament. · Memorize a life verse. · Write a 2-page paper on why the Bible is the Word of God. · Go through Growth Track and serve on the Dream Team @myfreedom.org. · Learn to load, clean and shoot a firearm responsibly. · Get a new gaming system that he saved up half the cost for. · Get an iPhone with a calling plan. · Get his first $100. · Get increased freedom and privileges related to decision-making, privacy, bedtime, etc. · Going to a rainforest in Costa Rica that was filled will all kinds of animals that Judah loves studying. · Refuse to only be inspired by the thought of doing this, really do it. A thought, a good intention, a well-crafted plan are all good, but not as good as an actual experience! Don’t allow yourself to just be inspired and say, “That’d be nice to do.” Actually step out and do something memorable. You’ll never regret it. · Dream Big. Pray Huge. Don’t water down your “wish list”. We didn’t know how in the world we’d be able to afford all of the things we wanted to do with Judah, but as we prayed and stepped out, God met us in amazing ways to foot the bill. · What you do for one can inspire everyone. 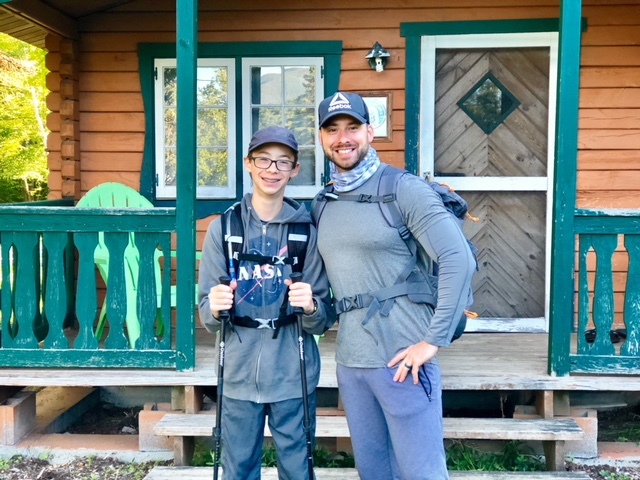 Judah is coming away from this season will some incredible experiences but Jesse, his younger brother, is walking away with massive excitement for his rite of passage, just two quick years away. A bunch of my friends are also drawing inspiration from Judah’s and my experiences. · Aim to be fitting, not fair. You want to customize the experience to your child rather than trying to do the same thing for each of your kids. As you already know, each kid is totally unique and deserves a custom design. Don’t be fair, let the experience be fitting to that child in that season. You are not perfect, you are a parent. Some of the things on your list may not happen or be as great as you built them up in your mind. You can’t force an experience to be “quality time”. But out of the quantity of time, you will definitely reap some memorable moments. And besides, doing something is infinitely more impacting than doing nothing. We can’t impart our intentions to our kids, only our actions and real values. · Don’t feel the need to cram everything into one weekend or experience. I think its great to have some kind of culmination experience, but we had so many things on our list that we decided to do some surrounding his birthday and others scattered throughout the year. We are treating his 13th year as a transition from boyhood to manhood. · Get better as you go. When a boy turns 13 years old it's not the only chance to do a rite of passage. Maybe your child is past that window. You could do another one at 16 or 18 or both. Anna and I are also planning to do significant rite of passage experiences for our boys at age 18 before they head off to college. · Don’t let regret eat your lunch. I wish I was able to have some of these experiences with my own father. He’s no longer here now and spending time regretting what wasn’t doesn’t change the past. You may not have been able to do a rite of passage experience with your children, but you could help do it with your grandchildren. You could give a financial gift to a family to help them create a memorable experience with one of their children. As an aunt or uncle you could absolutely play a major role in your nephew's or niece's rite of passage. "The greatest thing you do in life won't be something you do but someone you raise." The days are LONG but the years are so, so SHORT! I hope this post helped to encourage and equip you to seize the day. Great grace to you as you set your heart to do something memorable with your loved one.